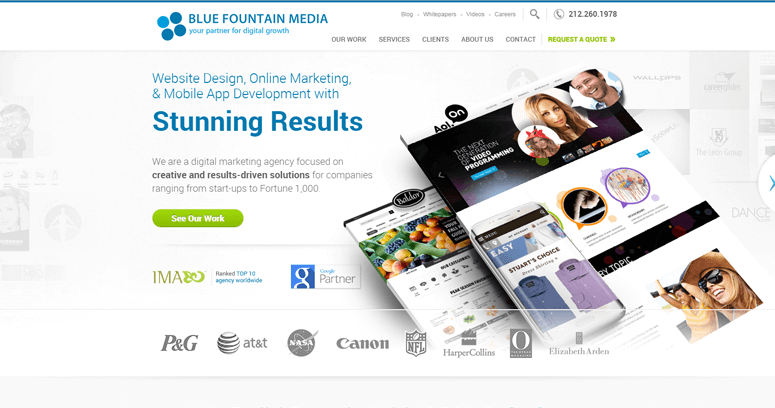 Blue Fountain Media is a New York-based digital agency that delivers world-class IT solutions. This company mostly acquires clients from the borough of Manhattan, a major hub for financial institutions. 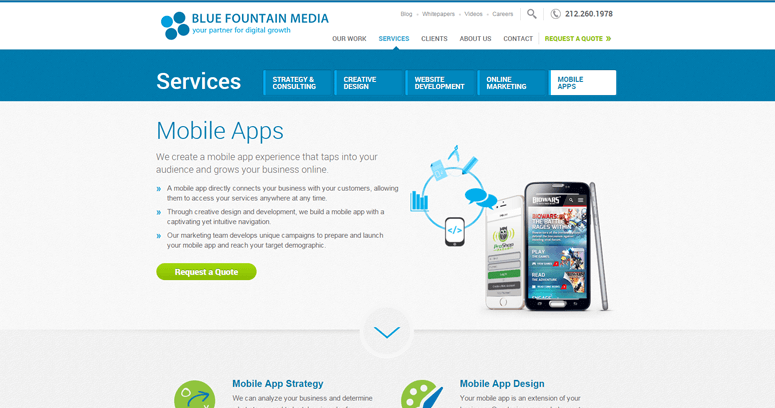 Therefore, Blue Fountain Media offers enterprise-style Web development for such customers that have large budgets. Additionally, custom Web design is available for small businesses that have restricted budgets. 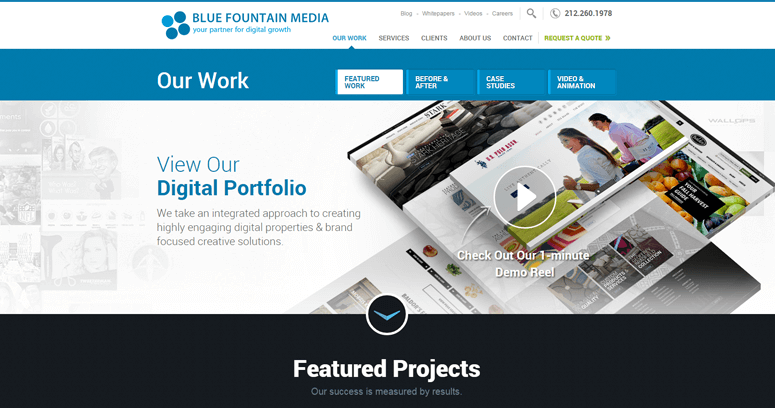 Blue Fountain Media is versatile enough to apply the most appropriate open source system based on the funds that are available for development. For example, Magento Hosting is perhaps the best option for an e-commerce website that is launched for a major retailer. By contrast, a simple WordPress template can be used to support e-commerce operations for a small business. Blue Fountain Media also offers multimedia production solutions such as logo design and animations. Additionally, the in-house marketing experts can significantly boost the online reputation of a company by launching campaigns on social networks.